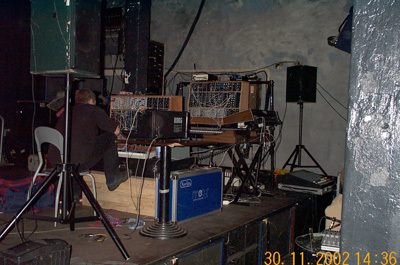 WintherStormer performed «Pure Analog Forever part I and II» at a concert in the «Blå» club in Oslo, November 30th 2002. 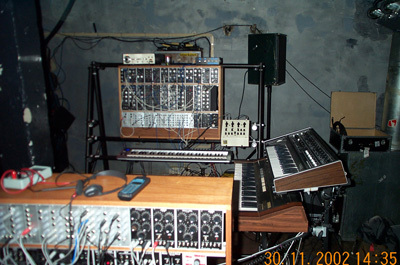 Korg, moog, a modular analog synthesizer, some old electronic equipment... could it be any better? 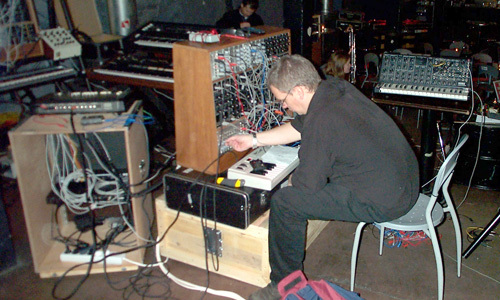 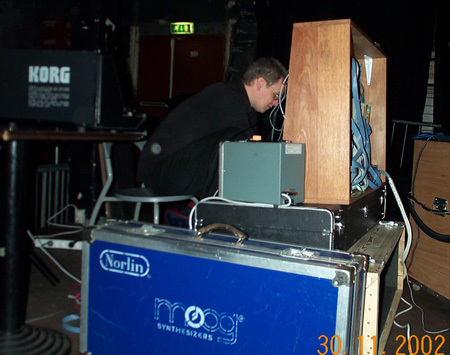 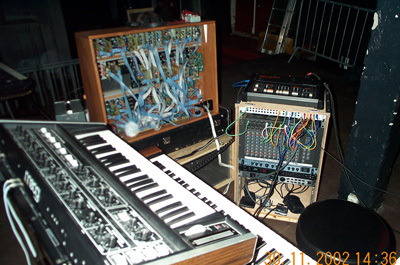 Terje Winther´s rig, part 1: multimoog in front, the rear of the WintherStormer modular in the middle, and the mixer and effects rack in a wooden enclosure to the right. 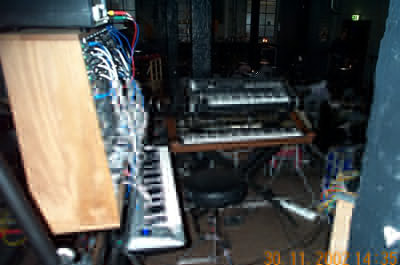 Terje Winther´s rig, part 2: multimoog on top of Yamaha SK-20, Winther Stormer modular to the left with Evolution keyboard underneath.